This project would likely include demolition of some or all of the existing buildings on site. 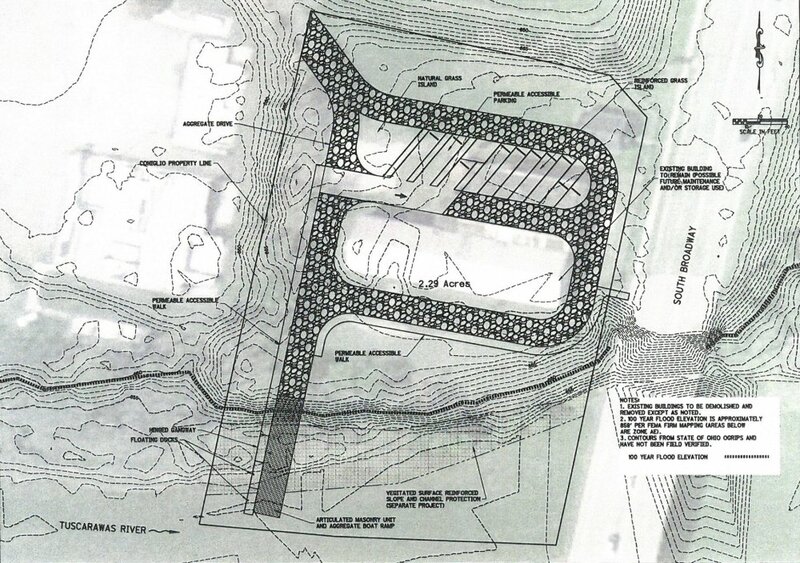 The project improvements may include a trailhead (possibly including parking lot, pavilion, picnic areas, benches, etc., a boat ramp which will allow for better access to the river by emergency personnel and other improvements). This project is located within the Ohio & Erie Canalway National Heritage Area and may eventually be connected to other areas by future trail or other projects in the area. The completed project would be open to the public.